The first weekend of November 2016 was a big one for me: in addition to attending the Grand Prix d’Horlogerie de Genève and meeting up with myriad friends there (see Year-End Auctions 2016: I Came, I Saw, I Learned, I Bought) I collected not one, not two, but three spectacular watches. I’ve already written about my motivations for hunting down the A. Lange & Söhne Pour le Mérite Tourbillon (see Why I Bought It: A. Lange & Söhne Pour le Mérite Tourbillon) and will return later to the third part of this trifecta, a vintage Patek Phillipe Reference 1526 in pink gold. The watch I left home certain to bring back, however, was one that I had been waiting patiently for since January 2016: the split-seconds chronograph Reference 5370P from Patek Philippe. I don’t think there’s any doubt that in my pal Terry’s taxonomy of watch collecting, the Reference 5370 is an “investment” piece: one that can be a longtime keeper and serve as a foundational watch in the portfolio. I first became aware of the Reference 5370P when I saw images of it in online banner ads around the time of Baselworld 2015 and I was immediately smitten. 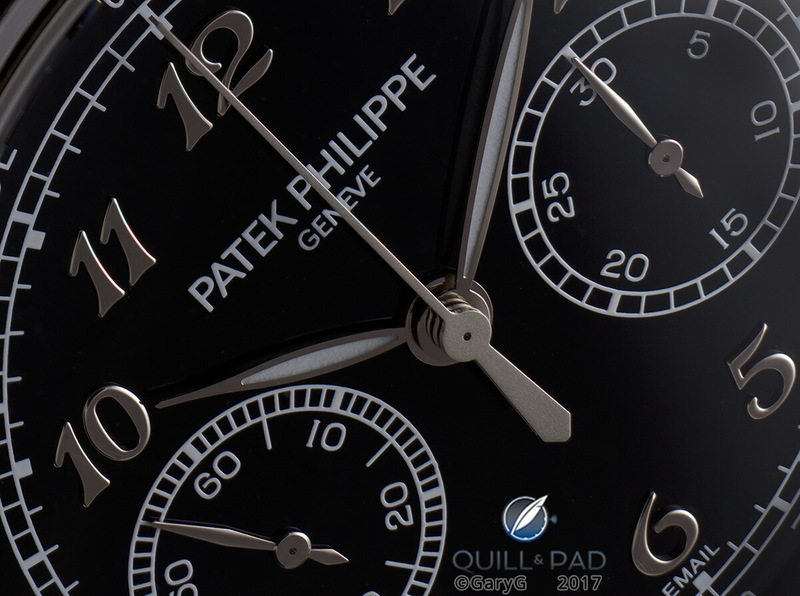 While Philadelphia merchant John Wanamaker’s famous line “Half the money I spend on advertising is wasted; the trouble is I don’t know which half” may be as true as ever, whatever Patek Philippe spent on that particular placement had its intended effect. When I had an opportunity to meet several members of Patek Philippe’s family business during our visit to Geneva in late 2015 (see You Are There: Attending The Only Watch Auction 2015 With Patek Philippe), I made it clear that if I were to have access to only one of Patek Philippe’s high complication pieces, it would be the 5370; after further discussions I received the good news in January of 2016 that I could expect to take delivery late in the year. I’ve been fortunate to be in many of the most heavenly spots in the watch world, and the first-floor private seating area within Patek Philippe’s Geneva Salon has to be near the top of the list. It’s now a bit of a tradition with our group to make a pilgrimage there on every trip we take to Geneva. If one of the members of the group is taking delivery of a watch, he has the special honor of sitting in “the chair” where I’m pictured seated below grinning like a fool after going through an introductory briefing and strap-fitting session with in-house watchmaker Marina. The presentation ceremony itself is worth the price of admission: everything from unboxing the folio containing the papers to filling out the Certificate of Origin with the new owner’s particulars is done with style. And the presence of one of my closest friends, a noted Patek Philippe collector, to share the occasion and record it in photos was something I wouldn’t have done without! The experience of receiving this piece was wonderful, but what about the watch itself? Happily, I can say that after several months of ownership I’m even happier with the 5370P than I thought I would be for many reasons. That dial: the dial itself is fired black enamel, very difficult to execute and absolutely stunning when seen on the wrist. I’ve now photographed my watch several times at extreme magnification and have yet to find a flaw in Patek Philippe’s enamel work. Due to the characteristics of fired enamel the deep, glossy look of the dial should never change. Those markers: the applied Breguet numerals, beautifully made, are complemented nicely by small dots at 4 and 8 o’clock, keeping the look of the dial in balance. The markers themselves are white gold rather than platinum, and I quite like the way that the slight color and texture variations between the markers, hands, and case bring visual interest to the watch and keep it from appearing sterile. In some light, the numerals take on almost a pinkish hue, and it’s always fun to check out the dial side just to see what it looks like in a particular set of conditions. That case: the case design of the Reference 5370 makes clear reference to Patek Philippe’s classic Reference 1436 split-seconds chronograph in everything from the shape of the lugs to the slightly concave contour of the bezel – and it works wonderfully. As a macro photographer, I sometimes find that it’s difficult to photograph the case of a given watch in interesting ways. With the 5370P, there are no such challenges as the mix of forms and textures provide a seemingly limitless set of photographic choices. One particularly lovely feature is the use of pressed-in white gold cabochons at the tip of each lug to provide a visual link to the protruding rounded spring bar ends seen on the vintage Reference 1436. That movement: this may be the latest point in any of my “Why I Bought It” articles that I’ve gotten around to talking about the movement! And in this case, it’s a corker: Caliber CHR 29-535 PS. This is a movement that looks great in photos, but even better “in the metal” at its actual size. In my opinion, Patek Philippe has done a splendid job using a variety of shapes, textures, and finishes to provide a feast for the eyes. I’m also a fan of this watch as a single-minded split-seconds chronograph rather than, for instance, a more complicated perpetual splitter like Patek Philippe’s own Reference 5204. I also like the way that some of the design choices made with the movement affect the appearance of the watch, including the rattrapante actuator positioned on the axis of the winding crown and the subdials positioned slightly below the centerline of the dial. To my eyes, the finishing quality looks quite good even under high magnification. We had an opportunity two years ago to visit Patek Philippe’s separate high-complication department where the 5370P and other super-complicated Patek Philippe watches are made, and the attention to detail in that manually-intensive atelier is evident in the finished product. Caliber CHR 29-535 also contains a number of clever (and patented) technical improvements, including changes to the centering mechanism for the rattrapante hand to ensure that the two chronograph second hands appear perfectly aligned when returned to zero. This is perhaps not earth shattering, but for me a good example of Patek Philippe’s thoughtful and continuous improvement within a philosophy of classical watchmaking. 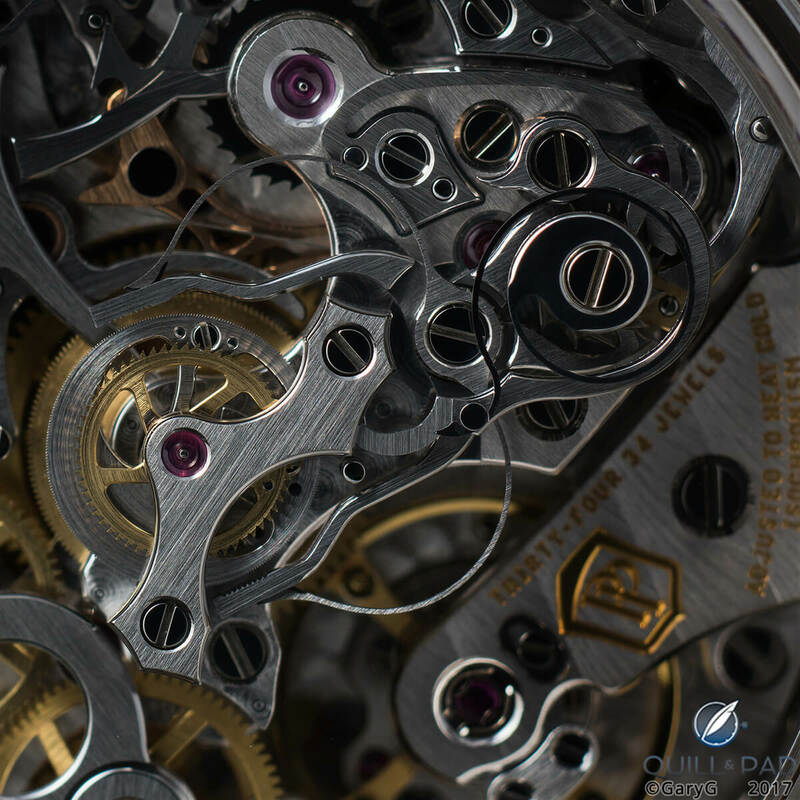 In practice, I find that the chronograph functions of the 5370 work flawlessly, with no jumping at launch or visible jittering during operation, and the rattrapante mechanism is satisfyingly crisp to operate and the rattrapante hand swings beautifully back into place when actuated. Also of note, the chronograph minute indication jumps instantaneously at each 60-second interval (a big deal for me) and, fairly unusually for Patek Philippe, the movement hacks when the crown is pulled out, allowing for easy synchronization with a reference time signal. I’d love to see some sharp interior angles in the movement with obvious signs of loving hand-finishing. While the finishing of the movement is quite good, it lacks that last bit of pop that some of the top independents provide. As mentioned above, the chronograph functions work well and feel good. But I’d be even happier if the force required to actuate the bottom “return to zero” pusher were stiffer and more consistent with the oomph needed to operate the other chronograph buttons. Finally, there’s “that bump!” Take a look above at the contour of the chronograph clutch lever, especially the spot left of the center of the picture where the lever curves around the jewel in its chaton. While that slight bulge may be necessary for structural integrity, and the lever extension that departs upward from there is part of one of the functional innovations of this movement, I wish that Patek Philippe had found a more elegant solution. 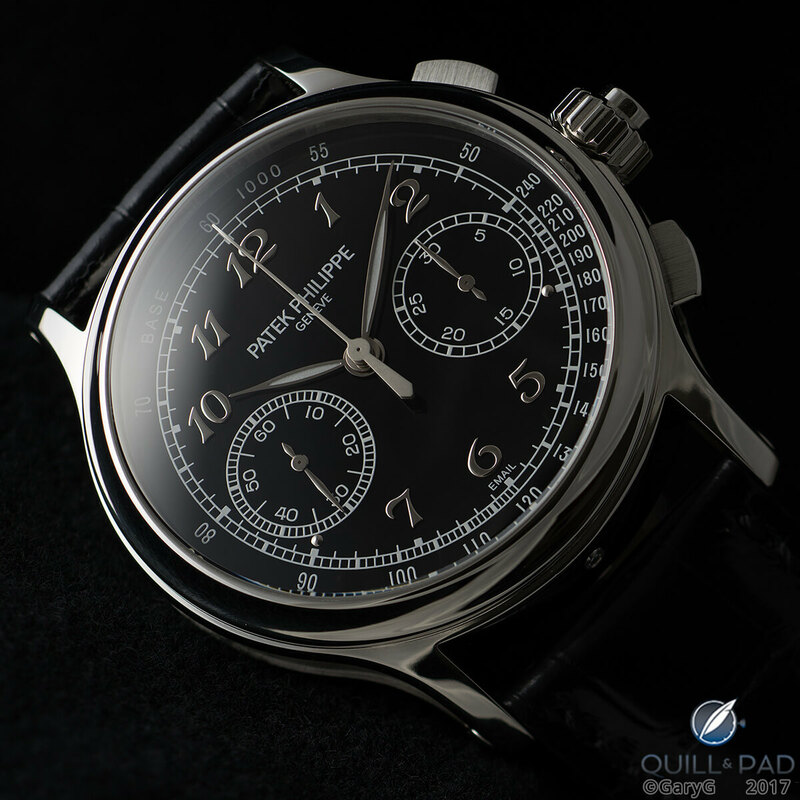 Is a Patek Philippe Reference 5370P right for you? Like me, you find the aesthetics of this watch gorgeous. You are eager to own, and hold, an example of a limited-production Patek Philippe high complication that in time could become a classic of the likes of Reference 1436 or even the monumental Reference 1518. The beauty and coherence of the watch makes spending the premium that it commands over arguably more technically capable watches such as the A. Lange & Söhne Double Split worthwhile to you. You want the experience of owning a high-end Patek Philippe timepiece and all that it entails. Another high complication such as a chiming watch has won your heart in the same way that the split seconds captivated mine. You demand fully hand-finished movements with ample displays of sharp interior angles. The 41 mm case size is too big for your wrist. You prefer to own and wear a variety of more affordable watches rather than concentrating on a smaller number of more substantial pieces. For more information, please visit www.patek.com/en/mens-watches/grand-complications/5370P-001. You come across as pompous and arrogant. Please try again. Bad day, Steve? This is surely inappropriate on a watch blog! Well, it’s certainly not very nice or even true. Steve, why don’t you give it a go then if you’re such a connoisseur of the written word? Steve — you left out affected, overblown, self-important, and vainglorious! Seriously, though, when I started here at Quill & Pad I did invite readers to let me know if they saw me veering into the realm of arrogance, so will take your criticism on board — and will certainly be “trying again” as long as Elizabeth and Ian would like me to do so. Most importantly, however, thanks for reading! Highly educational piece without even the slightest hint of arrogance! Care to get a little more specific? Thanks so much, Morteza — very pleased that you enjoyed it! – When one reads or hears about PP (at least my experience), they come across as a very arrogant company. But your story makes them seem like real nice people. I visited the Geneva Salon in 2009, and they treated me real nice. In fact they took me to the second floor where they have the grand complications and gave me a tour. There was this Japanese PP sales-person speaking with a Japanese collector and between them must have been about 10-15 grand complications – likely belonging to the collector ! Have not forgotten that moment. – The other Collectable in your story is the Gorgeous Limoges dish. A few years ago I started a business importing Limoges tableware to India. I managed to sell several sets of tableware to customers, before the business became a victim of the 2008 recession. However, the few tableware sets I am left (along with miniature Limoges porcelain) with are as sought-after / collectable as any great PP / VC / ALS / FPJ. Talk about luck ! Keep writing such articles. 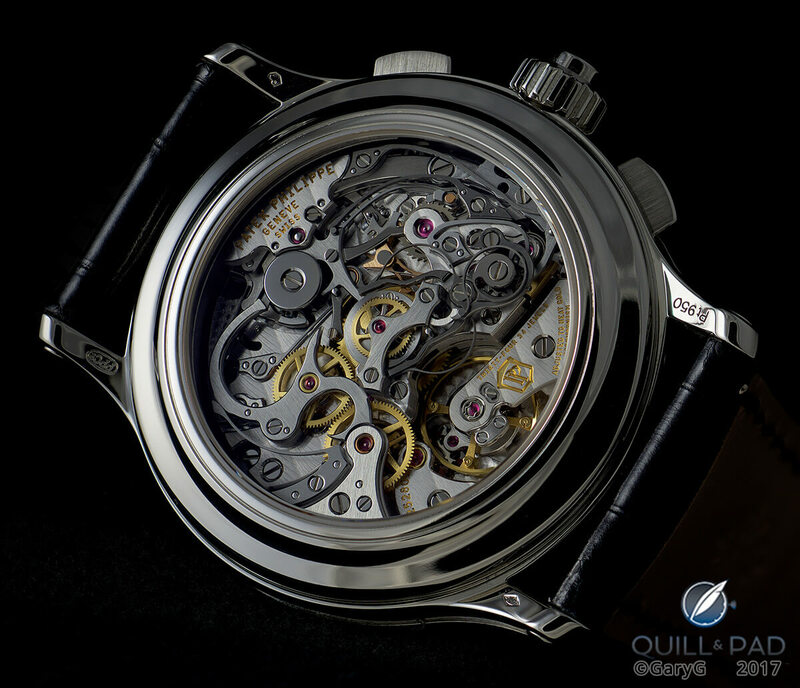 I think Quill & Pad is the only blog that makes its articles so personal, and not like PR releases like the others.Your articles are a source of vital horology education for me. Thank you very much for your kind and thoughtful remarks. Sometimes one hears the remark about some vintage PP pieces that they were made “when Patek was Patek,” but I think the 5370 is an example of a potential modern classic (of course, I’m biased!). I do think that Patek suffers from the perception of being arrogant as a company, and agree that meeting members of their team and family in person gives the exact opposite impression, as they were lovely to me well before I ever bought a significant Patek piece or achieved any level of notice online. Very interesting to hear about your experience with Limoges! The pearlescent glow on the dish I received as well as the fineness of the painting are really splendid — it’s a keeper! Thanks again — always appreciate seeing you here. Thanks for your article . I would just say I doubt any Patek would become collectible like the old one are . Quality changed , quantity exploded , With unbalance design but that does not mean you should not buy a Patek . Hi EDL — I suppose that time will tell about the collectability of modern Pateks, particularly limited-production items like the 5370P. Happily, I’m a “buy and wear” guy, so for me it’s about the experience! What a great article – congratulations on the watch. If you were being exiled to a desert island and had to choose only one split-seconds chronograph, would it be the Double Split or the 5370p? I find this a very difficult question – because the Double Split has a better movement but the 5370p has a better dial and case. Thanks for reading and for commenting — and for the congratulations! That desert island question is a tough one — perhaps I’ll have to ponder it for a future article… I think that you have isolated the big tradeoff, as the function of the Double Split is a real marvel while the 5370P is absolute eye candy. The photography is amazing. A great read. And while most blogs do not have writers that can write from true experience of buying and owning a watch, this makes it even more amazing. Nothing beats the ownership of a stunning timepiece. Congrats to Gary. Love to read your contributions and even more love to see your photography. Thank you, Boris! I do have a lot of fun serving as the Resident Collector here and appreciate the opportunity to share that perspective on watches with our readers. Thanks also for the kind words on the photos — this watch is a real treat to photograph and presents many interesting angles, for sure! Very well written article! In fact, I remember it’s your one on your Rolex batman that first introduced me to this watch blog and now I’m a daily regular reader! 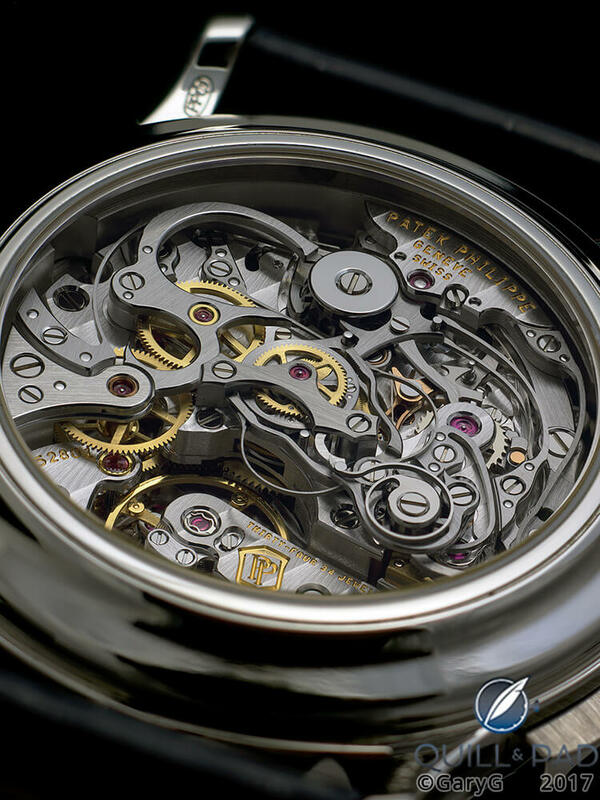 I especially appreciate your writings as they are very genuine and carry lots of emotions, plus they cover great deal of technical aspects of the watches without being too boring for someone like myself who lack deep understanding on movement. This is a great writing to thoroughly document the joy and excitement as a Patek owner especially on the process of picking up the watch. I remember when I picked up my first Patek I had my best watch buddy to take down a picture of myself signing the registration document. Truly wonderful and happy memory! My experience with Patek owners is generally very positive ones. Majority of them tend to be well established gentlemen with a slightly conservative yet very humble personality. Definitely a joy to hang out with! Recently I’ve joined the Patek club and can fully feel the charm of their products. My story on Patek started last September when I first acquired an Aquanaut at an authorised dealer. A friend of mine then asked me for help lining up for a Nautilus 5711 as returning customer tends to have better chance to get one. Last week that friend ended up getting the Nautilus from another source but decided he didn’t like it thensold it for a small profit. The one I lined up for him at my AD then arrived in the same period. Very tempted to flip it for a handsome profit at first, I decided to keep the watch as I fell in love with it after putting it on wrist (I then had to let go a few other pieces to fund this unexpected purchase). The authorised dealer also told me any flipping of Patek watches, if being found out by Patek, will earn both her shop a warning letter and a lifetime ban on me from Patek. I couldn’t let go of the watch anyways as I was totally smitten by the expert craftsmanship of this beauty. I have a question as a new Patek owner: down the road I’d like to own one more Patek if possible (after Lange 1 and the new Daytona : ) ). My eyes are on either 5227 or 5159. I know they are in two opposite polars (simple clean date only design vs complication) but I’m very attracted to the dust cover gimmick. If you were to pick one (ignoring the difference in price), what’s your though on these two watches? Thanks again and keep up with the great writings! Thanks for your comments and for sharing your experience, daiKel! And it’s great to have you as a regular reader here. Friends of mine who have the Ref. 5711, including the recent Anniversary piece, all love it. As for flipping, I am sure that Patek takes a dim view of the practice and I can understand that once you had the watch on your wrist the temptation went away! My general advice on watch choices is to buy the one you love! The 5227 seems quite classical to me, with the benefit of being updated to a 39mm diameter; at the same time, I’ve long been a fan of Patek’s retrograde perpetuals and over a decade ago came very close to buying a Ref. 5059. One thought: be sure to try both watches on your wrist if you can — at the end of the day I found that the ratio of diameter to height of the 5059 didn’t look right on my wrist (too thick in relative terms) but that’s very much a personal thing. Thank you for spending the time to share the experience of longing for, obtaining, and then objectively evaluating your PP. I suppose any quarter million dollar purchase risks criticism from others unless it is a house. Even most “well off” folks will never have that experience. I did not find it arrogant at all. It is a lot of work writing articles. Perhaps Steve can share his experience with one of his high-end watches. Thanks, William — I agree that we are in pretty privileged territory here; my intent is to share and entertain, not to offend, but you can’t please everyone, I suppose! Appreciate your taking time to comment. also visited FP journe and met Mr. Journe !! saw other manufactures too (too many to name) but VC was another treat ! Hi Carl — thanks for your comments and for sharing your experiences! I’ve had the same experience at the Geneva Salon with “blocked” movements — happily most of the watches that I’ve handled recently have been running examples, but some are for display purposes. I can assure you that they definitely retail out of that location, though! Sounds like you had a wonderful visit in Geneva — meeting Mr. Journe is of course a privilege and our group just visited the Patek Museum in January and learned a great deal. Stay tuned — more to come in future articles! Forgot to comment on the 5170! A lovely piece in its own right — just depends on whether it speaks to you once you have it on your wrist. The 5370P is a tiny bit large at 41mm relative to my usual 39mm sweet spot, but it wears “small” due to the dark dial and somewhat thin bezel. I know what you’re saying about the black vs. white contrast on the dial — for instance, I prefer the 5204R to the black-dialed 5204P. That said, the enamel on the 5370 is so, so dark and glossy that the contrast actually adds to the appeal, in my view! I thoroughly enjoyed the comments you made regarding the ceremony you experienced leading up to having the 5370 placed on your wrist. Very vital is the part of the sales ceremony when dealing with individuals. The whole experience can be made remarkable, or it could be overshadowed by inexperience and lack of attention to detail. They are in the position to either, “make” or “break” the occasion for you. Your photographs were nothing short of outstanding. Truly, a pleasure to view all the angles of the 5370 that you managed to capture. Thanks very much Ricardo, both for reading and for commenting! I completely agree with you that attention to detail at the special moment of receiving a new watch or other important purchase can make or break your enjoyment of the experience. For me, regardless of the price of the watch I really enjoy the “presentation” of the new item, seeing it in its box, and the unveiling process overall. I was just perusing this site and could not help but notice the placement of “email” at the six o’clock position on the dial rather than the usual “Swiss Made” or something of that manner. Would you care to elaborate, Gary G.? I mainly comment to show my solidarity;-) Don´t know the disease of this Steve. I follow you on insta for quite some time, founded this article googling as I consider to catch a 5370. The other watches I consider are a Datograph Tourbillon (great but size…..will I really wear it often?!) and a Lange 1 QP Tourbillon PT (but I mind about movement, hard to admire the Tourbillon as it´s automatic with big rotor). I appreciate very much that your review is a “real” review – with pros and cons even for a Super Watch like the 5370. So many reviews are just cheering but we all know that even the amazing pieces of Holy Trinity and Lange/Independents are having flaws usually and as you wrote: The perfect watch has not been produced yet…….. Please accept my apology for the very long delay in responding! I am just now going back over my prior articles looking for unanswered comments and found yours. Thank you very much indeed for the solidarity and kind words — and congratulations on your fantastic collection! Cool article. No arrogance at all, and why should there be? It’s a cool watch. Money is not the issue. It’s the fact that this brand (patek) is not about the money but values beyond that, that made me invest in a steel calatrava, 1974. Should be coming today. In my dealings with PAtek so far have there has been nothing but dignity and cordiality.I also like that they do not gouge the customer on service or parts, after the watch is bought. Says a lot about the people who are part of Patek Philippe. Congratulations on the incoming watch! I completely agree with you that Patek and its people are uniformly gracious and cordial — before I had bought even a single one of their watches, their team was very kind and welcoming to me. And the service prices are, as you say, very reasonable — I have my Ref. 1526 in the service queue right now, and while the wait is very long, the price for a full service (on a 70 year old watch!) is refreshingly appropriate, in my opinion. Thanks for commenting, and congratulations again!